July 13, 2016 July 17, 2016 / Elizabeth T.
That’s one of the things I love the most about this city – no matter where you go, you’ll always meet someone who aspires to be greater, and it’s this ambition that drives me to keep pushing forward as well! 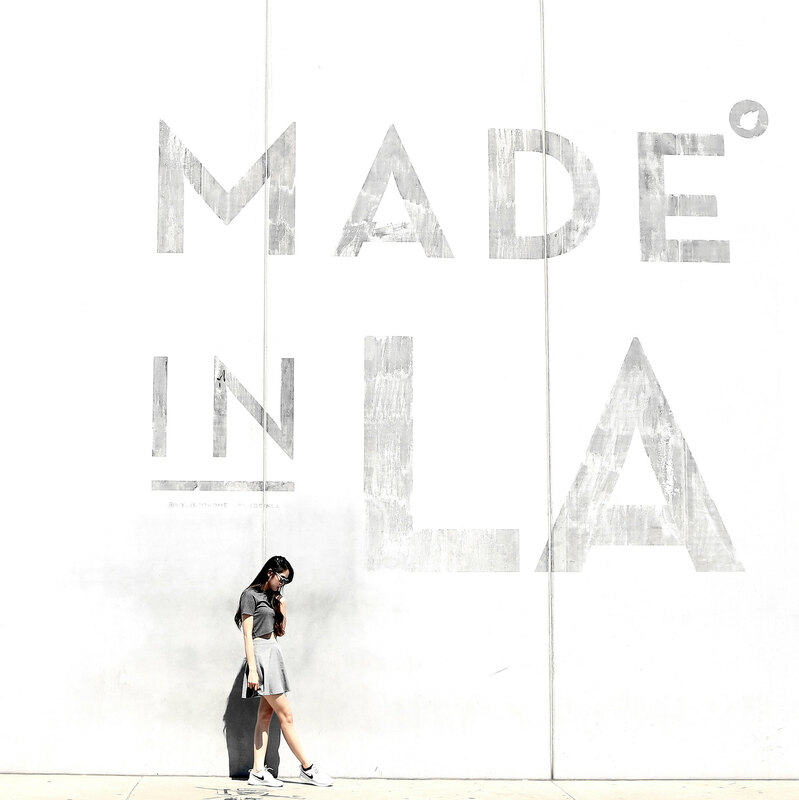 Though I currently don’t live in the heart of Downtown LA, I’m still a Los Angeles native, having been born and raised here, and no matter where I go later on in life, I know that I’ll always be an LA girl at heart because I’ll take my creative energy and persevering heart with me wherever I go! Where are all of you from? And what city is your favorite and why? 🙂 Let me know in the comments below because I always love hearing from all of you! This is one of the spot I wanna check in when I am in LA! Hope you have a great week LA girl! Love your outfit and the Forever 21 skirt! LA is such a lovely city and I agree! There is so much ambition in that city. Thank you so much love ❤ 🙂 And yes – I can't agree more, there really is lots of ambitions and dreams in this city! Love LA. It truly is an inspiration center. Can take the girl out of the city, but can’t take the city out of the girl! Love the post! Yes, I agree completely ❤ 😀 Thank you so much for stopping by Jenn! What a cool spot! Have to check it out when I’m back. Love the basic look on you. Yes, you definitely should Linh ❤ 🙂 I'm sure you'd love to shoot some photos there! what a perfect back drop. it has been 5 years since i’ve been to la. need to go back. Thank you so much Maria ❤ 🙂 And you should definitely come to LA! I'm sure you'll love it! Thank you so much Shirlyn ❤ 🙂 Glad you liked the photos! I love this wall! The photos with it are always so nice! 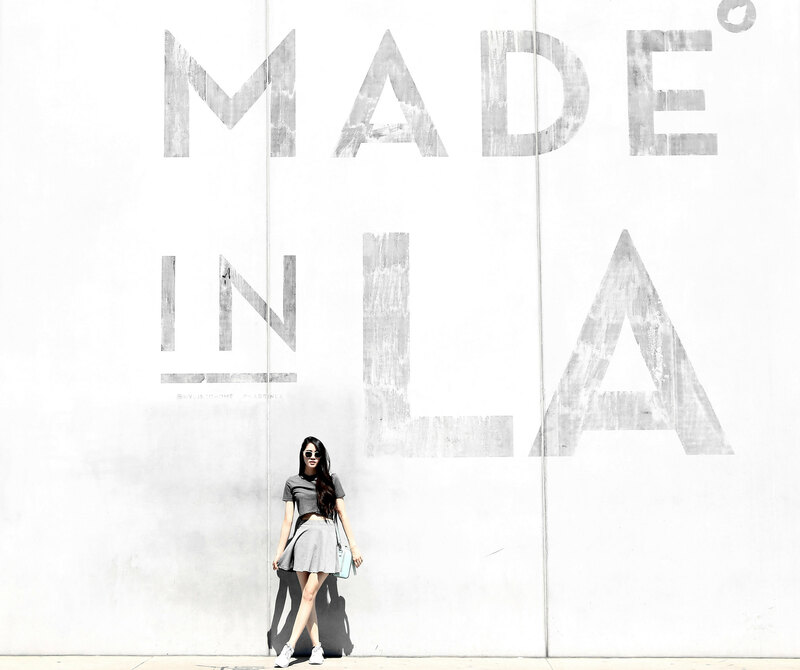 I really liked your article, L.A really sounds like a dream-like city. As for me I’m living in Paris, but my favorite city is Seoul ! Ohhh I definitely want to visit Paris and Seoul as well ❤ 🙂 Thank you so much for stopping by Kadi! Amazing post and I’m officially in love with your style! Aww thank you so much Sia ❤ 🙂 You're too sweet! 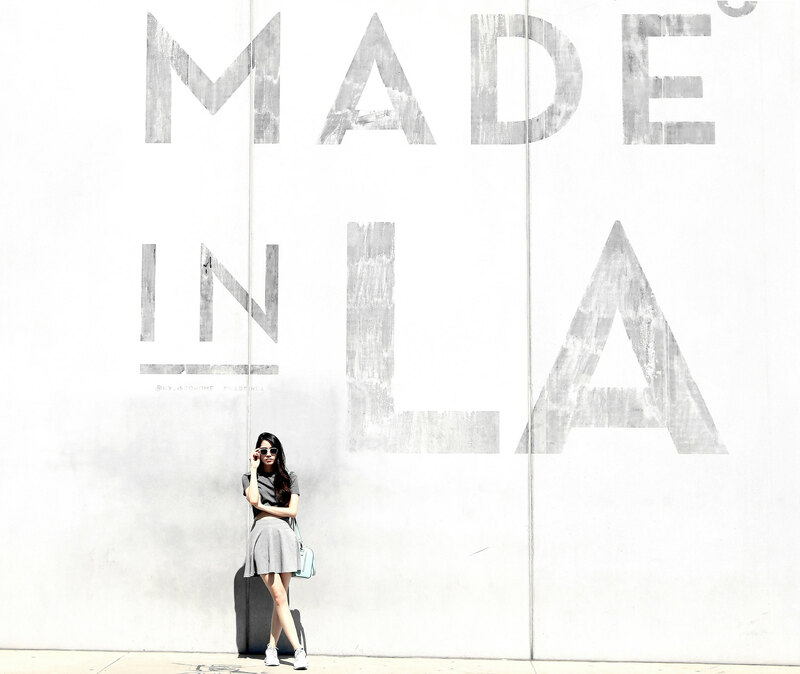 Love this super cool look with L.A. vibes! Love these pictures, and of course your outfit! Aww thank you so much love ❤ 🙂 I really want to visit Paris one day as well when I get the chance! The fashion, architecture, and cafes are all things that I want to experience! Yup, traffic really makes everything so much worse (not to mention, it always brings out the worst in us) 😛 Hahahah! Thank you so much love ❤ 🙂 Glad you enjoyed this post! You look lovely! Great post! Los Angeles sounds like a dream to me. I’ve never been to the US but it’s definitely a city that I’d like to visit – and by visit I mean stay a while. What you’re saying about creativity just joins the idea I have about this city and I’d love to feel that once in my life. I’m an adopted Parisian (was born in the Eastern part of France) and Paris is also a city that challenges you. I spent an important part of my life in Southern Japan too, and it is home. The people are so nice, the food is so good, and you can totally be yourself there. Unlike Seoul where I worked for more than a year and I found it extremely stressful. Anyway, always good to see and experience new places but also to have a city that you can always go back to to find peace. 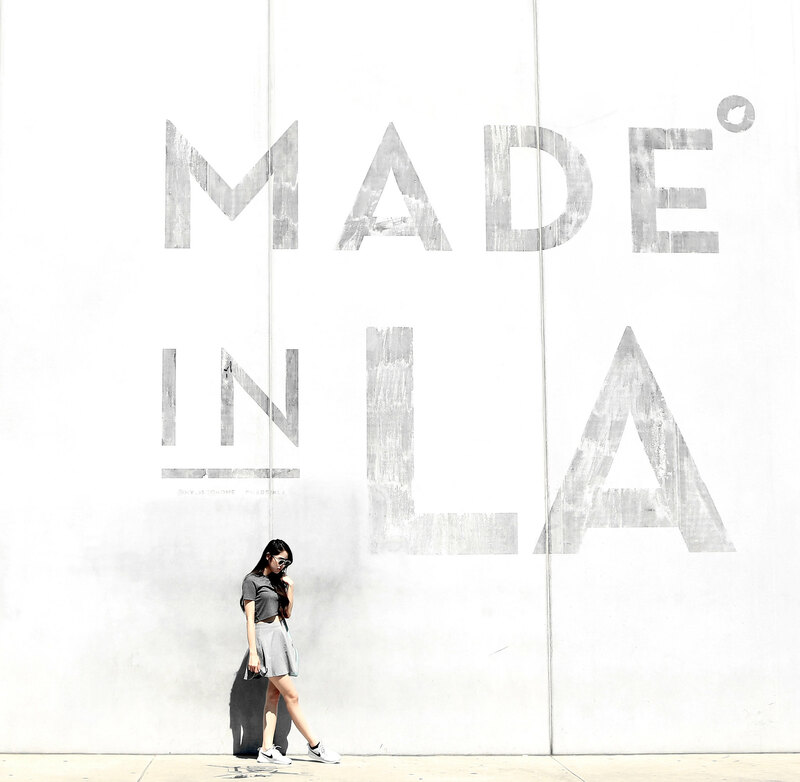 I can’t agree more Nawael – being able to see the world and experience different cultures is definitely eye-opening and beneficial, but of course, it’s a blessing to have a place to call home 🙂 I know you’ll love LA! It really is a magical city ❤ Thank you so much for stopping by, and I hope you'll be able to visit LA really soon! I live in Seoul, Korea now but I lived in Glendale for 2 years when I was younger. I wish I could try living there now that I’m older. It’ll be a completely different experience! Thank you so much Ambar ❤ 🙂 You're too sweet! P.s. Do you have any recommendations to go for a big birthday brunch in LA next Saturday? Thank you so much Susanne ❤ 🙂 And oh nooo, I'm sure I'm a bit late, but some of my favorite brunch spots are Bottega Louie, Blu Jam, and Republique, if you're still looking for places to try! Seeing your photos make me miss LA! I’m from Taipei, Taiwan so it’s my home. For my travel experiences so far, my favourite cities are Melbourne and London 🙂 And I’m so lucky to have lived in both of them! You’re so lucky Tiffany 🙂 I wish I could one day see and live in as many places as you too ❤ Hope all is well! Thank you so much love! 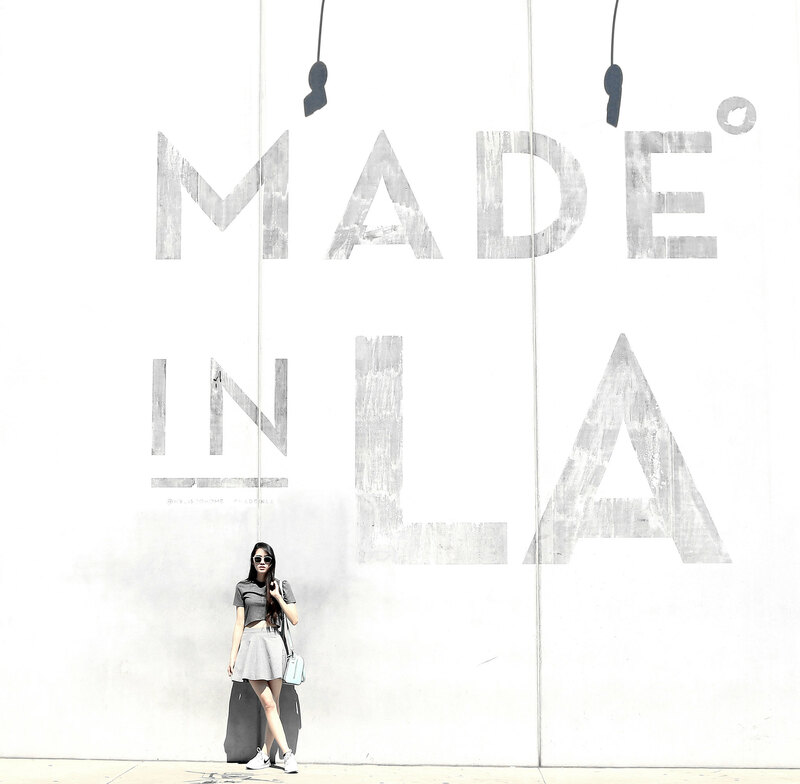 ❤ 🙂 You should definitely visit it one day if you're ever in LA!